Application Fields: water conservancy and hydropower, construction, highway and railway, etc. 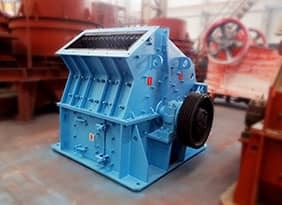 BP Series Impact Crusher is new type of impact crusher in the primary crushing after combined by French technology from Altairac company. 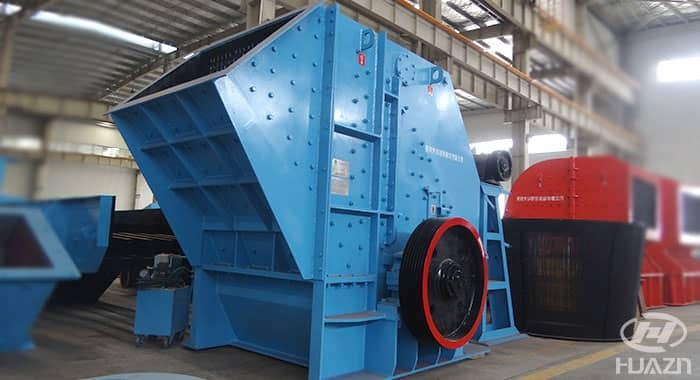 Big opening and feed size and heavy-duty type rotor structure make big crushing efficiency, high capacity, low consumption of power, easy operating and convenient maintenance. 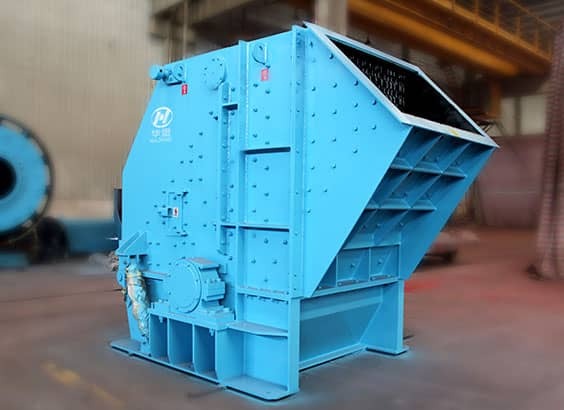 It is right equipment in the medium-hardness processing such as water conservancy, high express way, construction and construction waste in the primary crushing. 1. 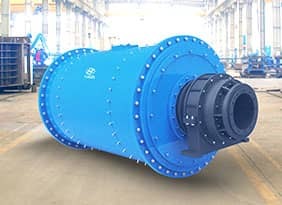 New design of rotor improves impact of rotation and hammer, increase crushing ratio in one time. 2. Special S type hammer make hammer shape not change during life time and stable crushing ratio. 3. It is convenient to change hammers using special way to fix without bolt, which improve maintenance efficiency. 4. It is safe and easy to use thrust lock in the rotor when change the spare parts. 5. It reduce cost using decrease universal design, which decrease quantity and type of spare parts. 6. Impact frame is hanged by dead-weight in the upside of cavity. Adjustment of CSS is using stop locker instead of spring adjustment with many troubles. 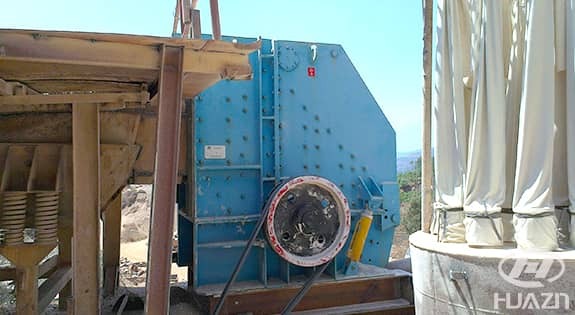 Impact crusher is a kind of crushing machine that uses the plate hammer of the high speed rotating rotor to crush the materials at a high impacting crushing force. When the materials get into the action area of plate hammer, they are crushed by the hammer at a high speed. The crushed materials are thrown to the impact plate along the tangential direction to crush again. Then they are rebounded from the first impact plate to the action area of the plate hammer and enter into the second impact plate to repeat the above process. During this process, materials also crash with each other. 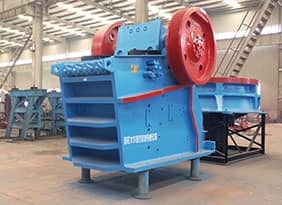 This process will proceed repeatedly until the material are crushed to the required granularity, and then discharged from the clearance between impact plate and plate hammer. 1000t/h coarse fine processing system in France. The main equipment: BP55 impact crusher, modularized frame work platform, ZSW600 X 210 grizzly bar vibrating feeder. 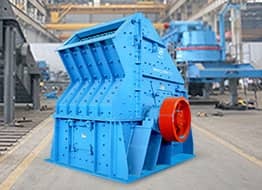 It is designed for limestone crushing at Yunnan, China. 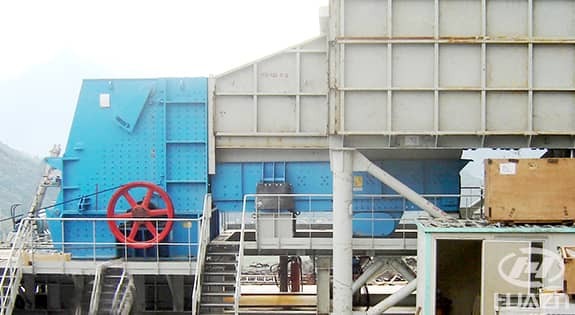 The main equipment: ZSW vibrating screen, JC jaw crusher, BP impact crusher, 3YK vibrating screen.